The Medical Marijuana Tenant: What can you do as a landlord? - Baseline Inspections Inc. Recent regulations from the federal government allow medical marijuana users to set up small growing operations to produce their own crop. “The Access to Cannabis for Medical Purposes Regulations (ACMPR) allows individuals, who have been authorized by their health care practitioner, to register with Health Canada to produce a limited amount of cannabis for their own medical purposes.” Government of Canada website. As a landlord, is this something you have thought about? 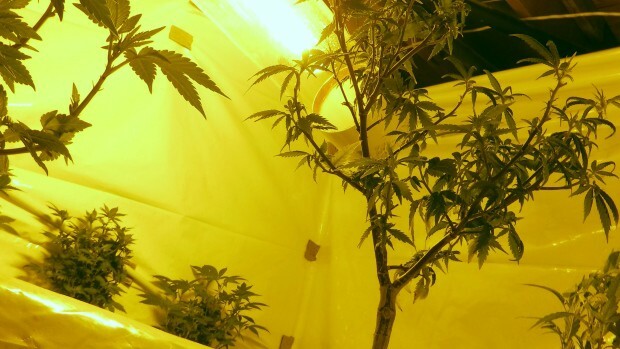 A recent CBC article entitled “Landlord pays high price for renter’s medical marijuana grow-op” brought this change in regulation to our attention. The article raises a very real issue for landlords in Canada, including landlords in the Waterloo region. If you are a landlord, or thinking of becoming one, it would be prudent to put some thought into what you can do to protect yourself and reduce your risk. As the CBC article mentions, along with the possibility of losing insurance coverage, a medical marijuana grow op, legal or not, increases the likelihood of damage to your property – whether through fire caused by inappropriate wiring, mould or water damage due increased humidity levels, or an increased likelihood of damages caused by break and entry. Operating without insurance is a non-starter. The landlord in the CBC article went without insurance for a significant period leaving himself open to financial disaster. He finally found an insurance provider who would cover his building, but it came with a substantial cost increase. You can attempt to offload risks to your tenant requiring them to carry insurance, requiring more frequent inspections to ensure fire regulations are being met, or adding details in your lease agreements to prevent growing inside a tenant’s space. The landlord tenant act is often open to interpretation, and often doesn’t favour the landlord. Baseline Inspections is not an expert in this area, but we thought it would be prudent to raise awareness so that you as a landlord can do appropriate due diligence. We would recommend contacting your insurance provider to understand the consequences if and when you run in to this scenario. It would also be prudent to contact a lawyer to ensure your lease agreements protect you as much as possible, and to understand your rights.